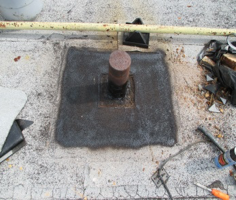 MGI Roofing has an extensive leak repair division that will evaluate and properly repair your roof leak to manufacturer and National Roofing Contractors Association specifications. 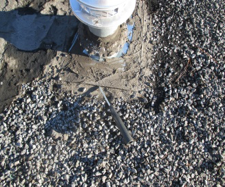 MGI Roofing supplies a workmanship warranty on all work. 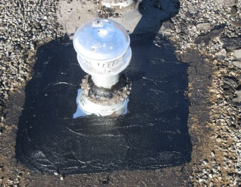 All of our lead technicians have over 20 years’ experience working with all types of commercial roofs; Built Up, Modified Bitumen, TPO, PVC, EPDM and sheet metal . Continuing education is an important part of MGI Roofing’s process which allows our technicians to be the very best in their field. All MGI employees wear uniforms and have identification badges so each employee can be identified when they are on your property. 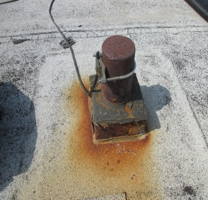 MGI will sign in with appointed personnel, inspect the interior, then will locate the source of the defect on the roof. 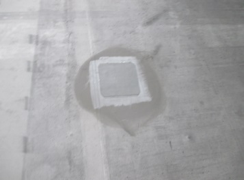 A report will include photos of the defect, description of the repair and photos of the completed repairs. 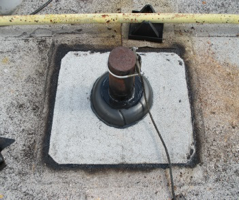 These photos, description of repair and invoice will be presented to owner and stored in our database which all owners have complete access, allowing them to retrieve or view any work performed on their building. 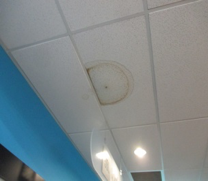 Once the owner or tenant contacts our office, a work order is drawn with the owner or tenant, and then will be notified of the date and time of our arrival. 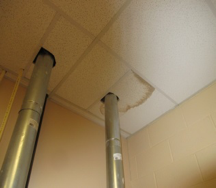 For emergency repairs, such as leaks over electrical boxes or safety issues to tenants, MGI will respond within 8 hours of the emergency service request. 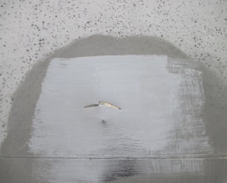 Allow us, at MGI Roofing, to service all of your roof repair needs!